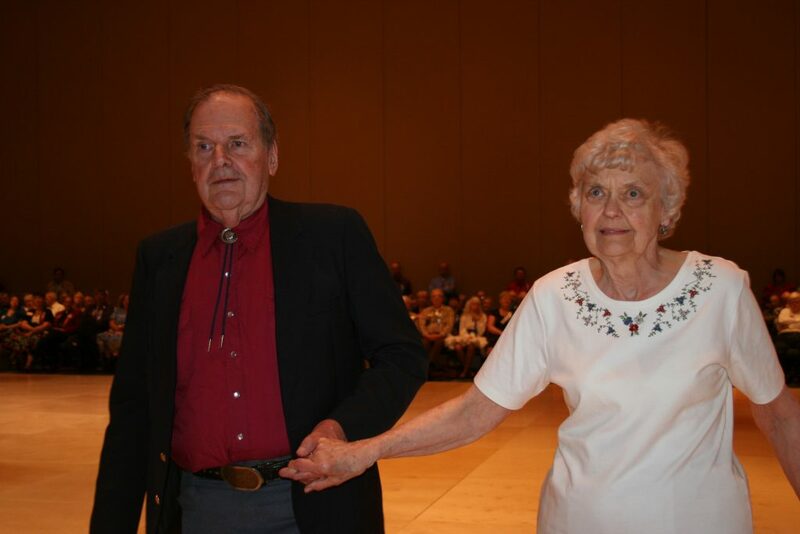 John and Judy Thompson have made a wide variety of contributions to the square and round dance activity. They started five clubs, taught more than ninety classes and called more than 5000 dances. We say “they” because we all know that partners cannot help but participate in the activities of their caller. Judy has done far more than participate. Their activities have gone well beyond what they have done at dances. They have been leaders in every sense of the word. One of the most important of their contributions was the development and conduct of the Square Dance Leadership Conference sponsored for five years by the Cooperation Committee and by other New England associations as well. These conferences focused on group problem solving, conflict management and group dynamics. They helped New England to have one of the world’s most cooperative square and round dance activities. John has held his share of leadership positions in the New England Council of Caller Associations and served as caller programmer for the 1981 and 1982 New England Square and Round Dance Conventions. The Thompsons also attended the first meeting of Legacy which was a national organization intended to encourage cooperation and communication among the several branches of the square dance activity. These included the magazine publishers, dancer leaders and callers and cuers. To me square dancing was an opportunity to make others smile; forget for a time their fears and anxieties and interact with each other. There were no boundaries of wealth, position, religion or politics. It was simply people having fun. I am so happy that I was a part of that. The Cooperation Committee, acting on behalf of the square dancers of New England, is proud to present this award to JOHN AND JUDY THOMPSON.